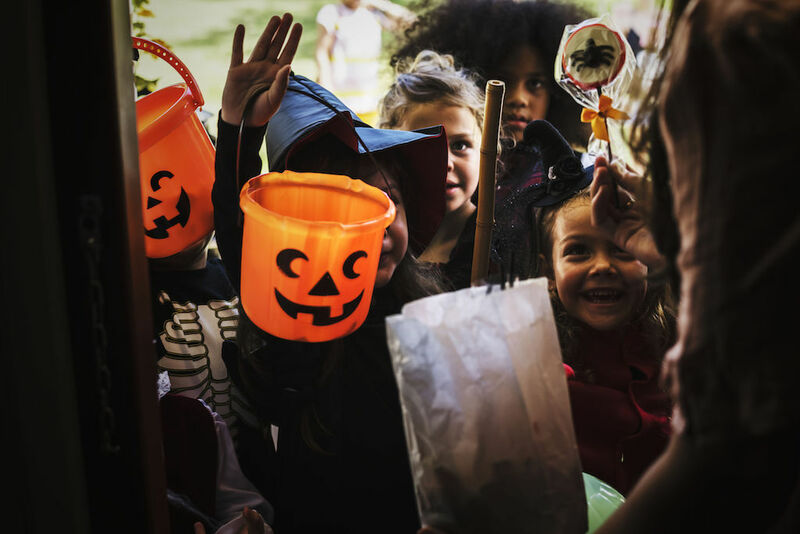 Are you house hunting for a new home in Douglas County this fall? 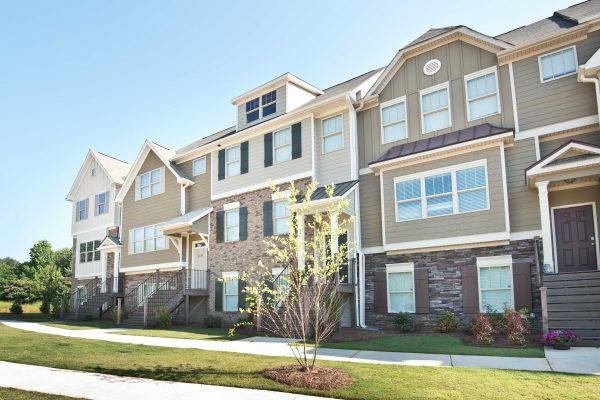 Holly Springs is a community of well-appointed 2-story homes in Douglasville, Georgia. Conveniently situated near the banks of the Chattahoochee River, the community is nearby several recreational attractions. Located east of the community you’ll find the Boundary Waters Aquatic Center. If you travel a little farther north, you’ll also find Sweetwater Creek State Park. Nearby I-20 also provides easy access to shopping and dining at Arbor Place Mall. 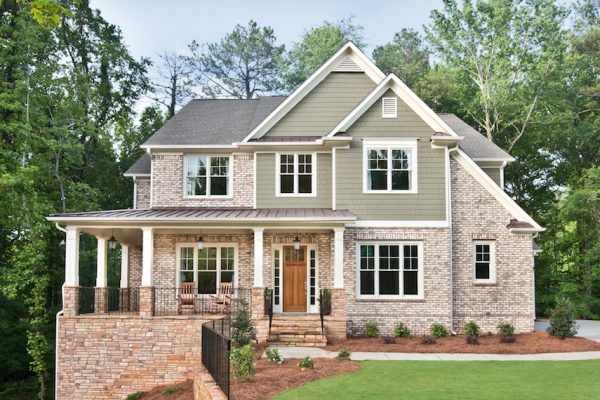 Take your house hunt to the next stage this fall and open the door to your new home in Holly Springs. 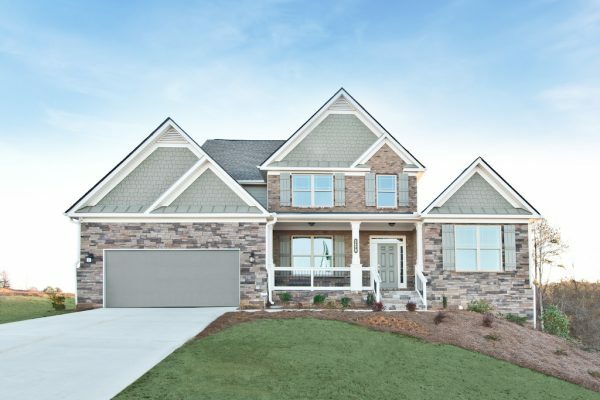 The decorated model home at Holly Springs is our Huntington floor plan. This sought-after master-on-main floor plan has 4 bedrooms and 3.5 bathrooms. The home has both a formal dining room and living room at the entrance. Down the hall, it opens up to a spacious living area. 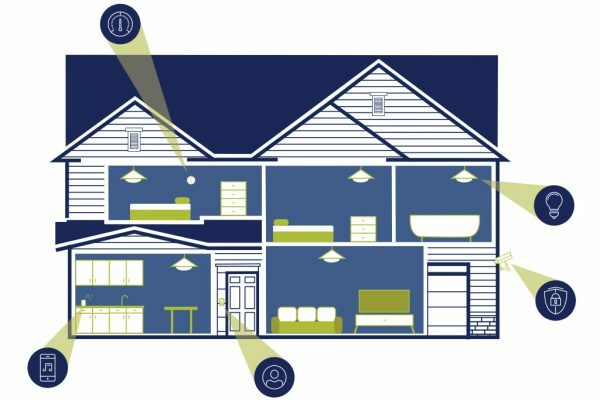 This space contains the 2-story family room, breakfast area, and kitchen. Stunning features of our model home include custom built-ins on either side of the stone fireplace in the family room. In the kitchen, you will find crisp, white cabinetry accented by subway tile backsplash as well as contrasting countertops. Lastly, the luxurious master suite has a beautiful tray ceiling. Additionally, the spa-inspired master bath includes a separate shower and soaking tub. After your model home tour, make sure to take a look at our available homes. 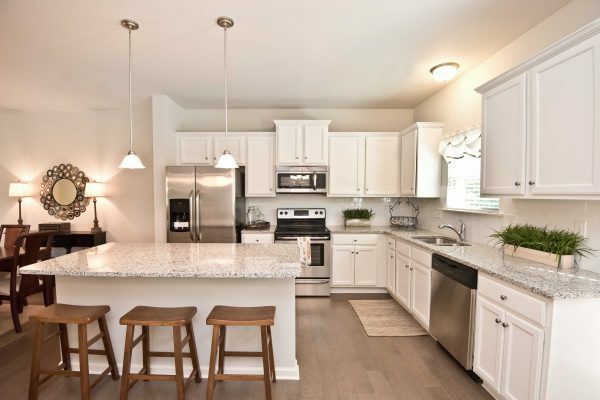 We have several homes starting from the high $300’s currently available in Holly Springs. These include our Addison, Huntington, Somerset, and Windward plans. These homes range in size from 2,905 square feet to 3,600 square feet. The Huntington and Windward are both master-on-main plans, while the Addison has a guest room on the main floor. 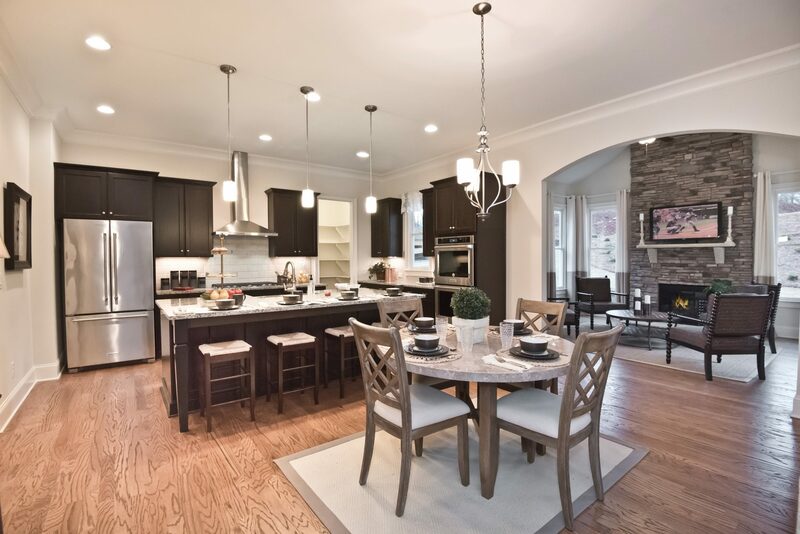 These new homes in Holly Springs are located in a gorgeous wooded area of Douglasville. With easy access to popular area attractions in addition to the beautiful finishes found in these new homes, they won’t last long. Plus, now through December 31, you can take advantage of our From House to Home Year-End Special. What are you waiting for? 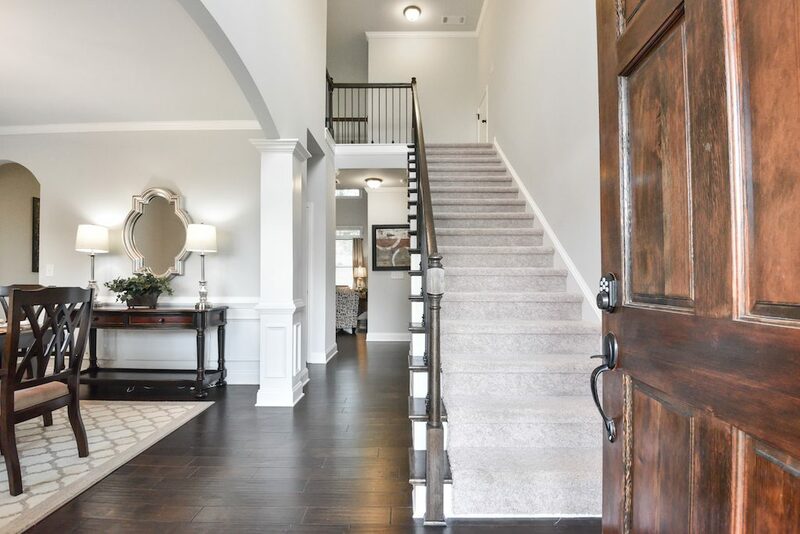 Come open the door to your new home in Holly Springs today. Our onsite agents, Joslyn and Bria, are here to help you take the next step in your house hunt and select your perfect home.